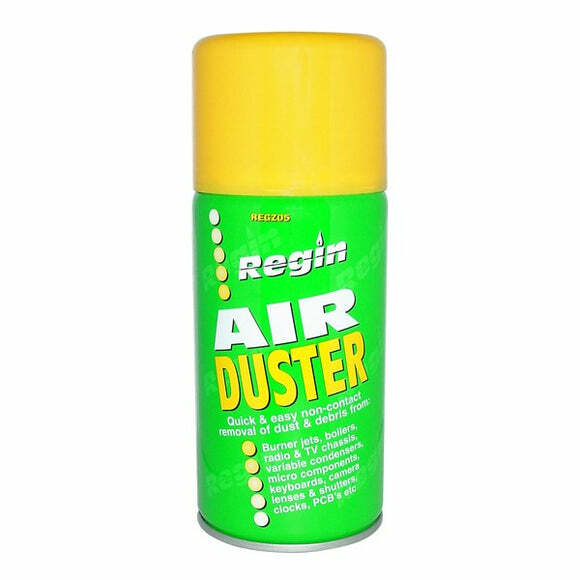 Regin’s Air Duster is a compact 150ml can of compressed air with an added extension tube for precise cleaning in hard to reach areas, the extension tubing supplied fits snug to the existing fitted standard nozzle. 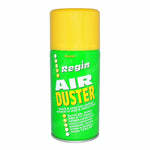 The Regin Air Duster is non-flammable and for use in cleaning burner jets, boilers, PCBs, micro components and most standard home and office appliances. It is ideal for quick and easy cleaning of dust and debris that otherwise cannot be simply cleaned by hand.